In 1984, the newly elected Labour Government's anti-nuclear policy collided with a United States foreign policy based on nuclear deterrence. After three years of ship visits denied, angry meetings, fraught diplomacy and press conferences, the stand-off led to the unravelling of the ANZUS military alliance, established in 1951. 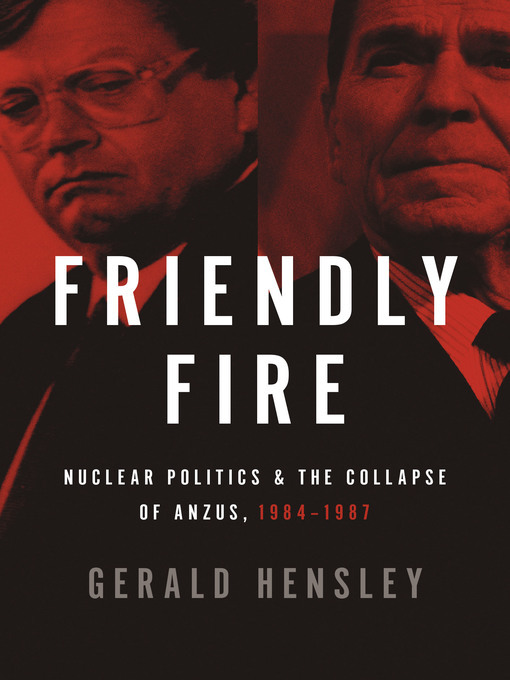 Based on previously classified government records in New Zealand, Australia, the United States and the United Kingdom, interviews with key protagonists from throughout the world, and the author's own involvement in events, Friendly Fire tells the inside story of the dramatic confrontation. We hear what Bob Hawke and George Schultz really thought of David Lange; we see the internal machinations within the Labour Party as Geoffrey Palmer wrestled with what to do about the USS Buchanan's proposed visit while David Lange was stuck in the middle of the Pacific on an old boat; and we see the complex play of cultural loyalties, strategic objectives, and personal relationships that led from policy differences to confrontation to collapse. This is the definitive account of a key turning point in New Zealand history – a dramatic story of powerful personalities arguing key questions on the world stage.